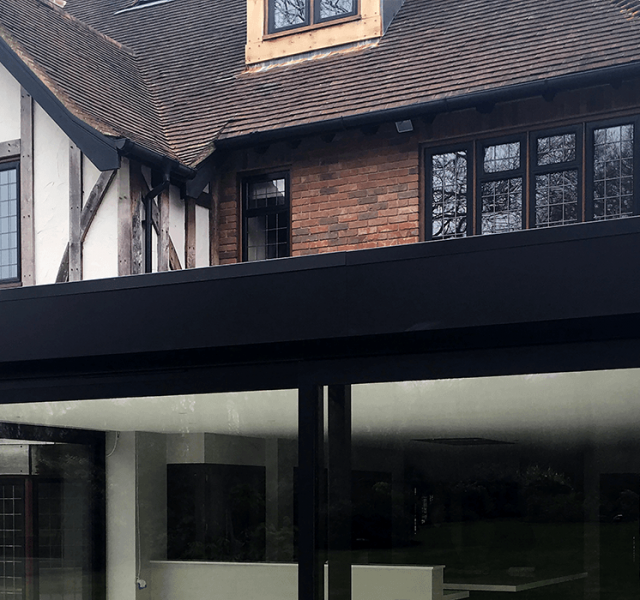 The property based on World’s End Lane, Chelsfield, Orpington was having a kitchen-diner refurbishment and extension in a modern contemporary design. Dickens Developments – the contractor on site contacted ARP’s Area Sales Manager – David Capel, as they had met at a previous site. 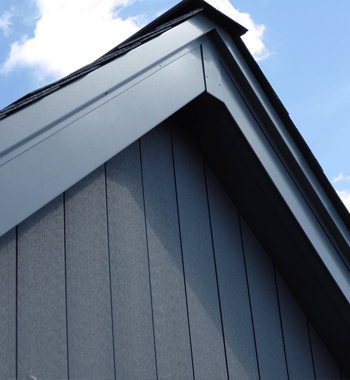 David was invited to a site meeting, where the extension was surveyed and the various Trueline fascia and soffit options were discussed. 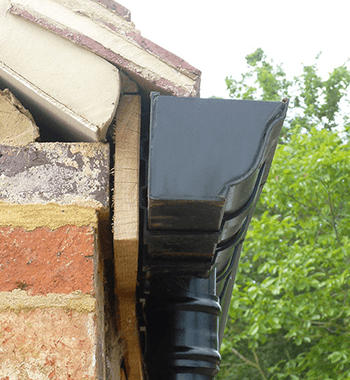 Having completed the site survey, David provided a full quotation and Dickens Developments were then able to use their local Jewson’s at Orpington to fulfil the order. 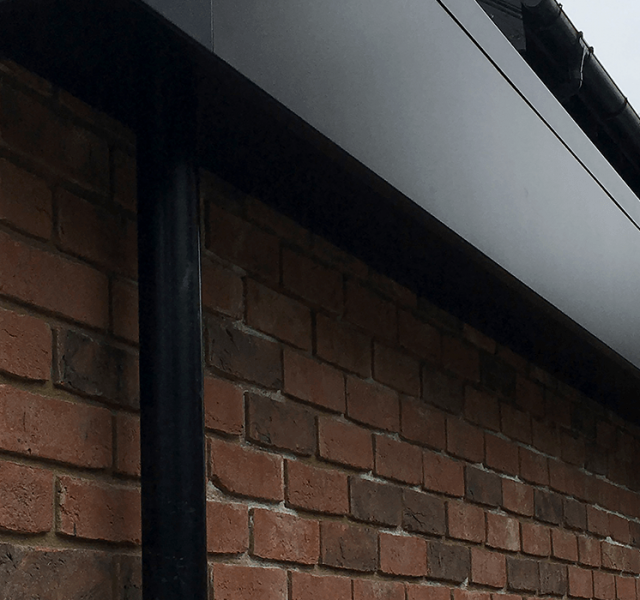 The bespoke Trueline Fascias and Soffits were made to measure in our in-house production facility, with CAD/CAM drawings produced and signed off by the client prior to going into production. 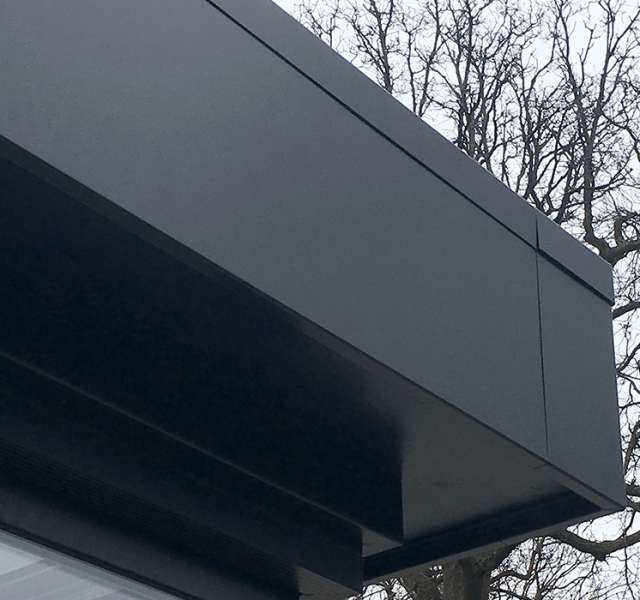 The fascia profiles were polyester powder coated in matt black RAL 9005 with an over trim covering the fixings on the fascia. The finish was completed with prefabricated corners. 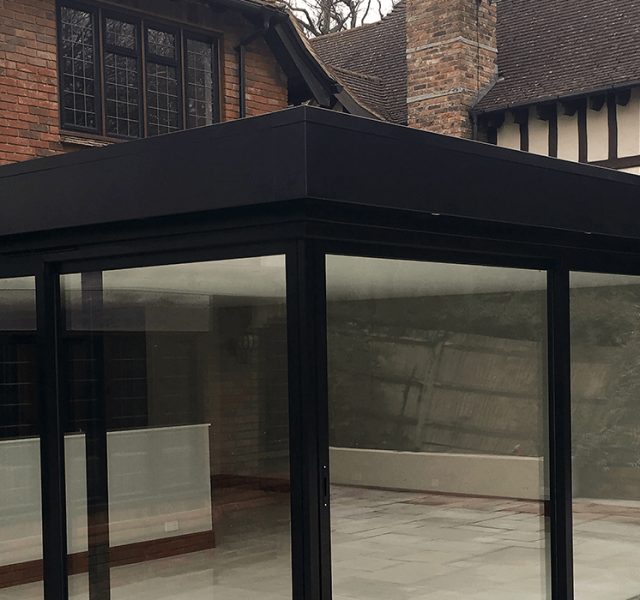 These products were chosen as they suited the modern contemporary style of the extension, but also ties in with the windows and complements the overall design. 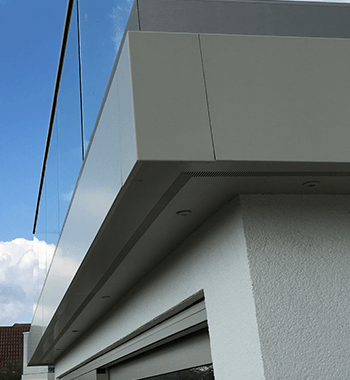 Aluminium was the perfect choice for the fascia and soffits on this property as it is strong, durable and non-corrosive. 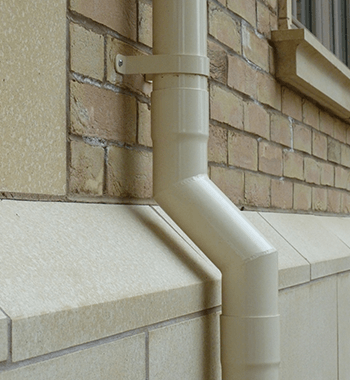 With the ability to match the coating to the other elements of the building, ensures that the system blends with the rest of the property. Aluminium not only enhances the design elements of the extension, but will extend the buildings lifespan. ARP are happy to work with clients who purchase through merchants and can offer site surveys and site measures to help expedite the order. If you would like to arrange a site visit, please contact us.